Mr. Farron canceled Tuesday's (May 23) planned trip to Gibraltar and went instead to Manchester to attend the vigil, following Monday night's suicide bomb attack. But in a speech he said "the Liberal Democrats recognize the utter unfairness of a system which denies UK citizens living abroad a vote." He accused the Conservative Party of "breaking their word" after they stated in their 2015 election manifesto they would grant the vote to expats who had lived out of the UK for more than 15 years. British citizens living abroad can apply to be an "overseas voter." But they must have been registered to vote in the UK in the last 15 years. There is an exemption for people who left the UK before they were of voting age. Overseas registration expires after 12 months and must be renewed every year at an Electoral Registration office in the UK. The deadline for applications for the June 8 election have now closed but British expats abroad can still vote by proxy. But Mr. Farron said the Lib Dems would change the system if they got into power or formed part of a ruling coalition. 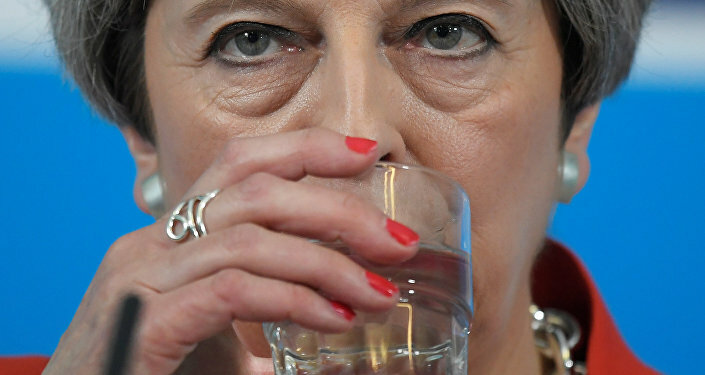 "In their 2015 manifesto, the Conservatives pledged to remove the 15-year rule, but they refused to apply this to the referendum and in February this year, dropped the policy and broke their word," he said. British expats living in other EU countries are living in a state of anxiety following the Brexit vote. Mr. Farron said they faced "the uncertainty that an extreme Brexit" would bring, including the possibility that negotiations would draw a blank on the question of whether they could stay on in their host country. "That is why in our manifesto, we've committed to establishing specific constituencies for all UK citizens who live abroad," Mr. Farron said. Although he was not in Gibraltar, Mr. Farron had a message for the people living on the Rock: "96% of you voted to remain in the EU, but your voices have now been disregarded. "In the letter Theresa May sent at the end of March, triggering Article 50 and setting out the so-called ‘principles' of negotiation, Gibraltar was not mentioned at all." In March, the EU's chief Brexit negotiator Michel Barnier said Gibraltar would have to leave the EU along with the rest of Britain, despite being physically connected to the Spanish mainland. A man stands in a Remain campaign office during the referendum on whether the United Kingdom should stay in or leave the European Union, in Gibraltar on June 23, 2016. Currently Gibraltarians are included, at least for European elections, in the South West England constituency. 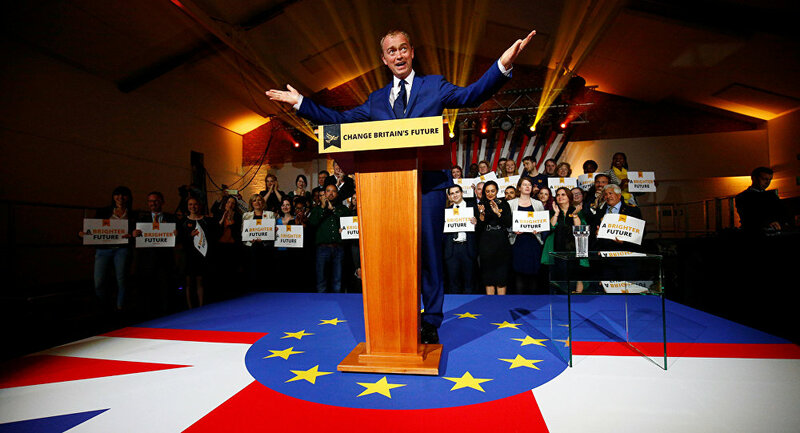 Mr. Farron said last week if the Liberal Democrats got into power they would let voters have a referendum on UK's final deal with the European Union, including an option to remain. But he says that in the event of Brexit going ahead, he wants the 20,000 voters in Gibraltar to have their own MP sitting in the Houses of Parliament in Westminster. He also wants MPs to represent expats in France, Germany, Spain, the United States, Australia and other countries. Spain's Foreign Minister Alfonse Dastis recently said Gibraltar must not become "a determinant or even important" issue in the Brexit negotiations. The Lib Dems, under their then leader Nick Clegg, were the Conservatives' partners in a government coalition between 2010 and 2015. The Conservative Party pointed out that on page 42 of their current manifesto it makes it quite clear that: "We will legislate for votes for life for British overseas electors."